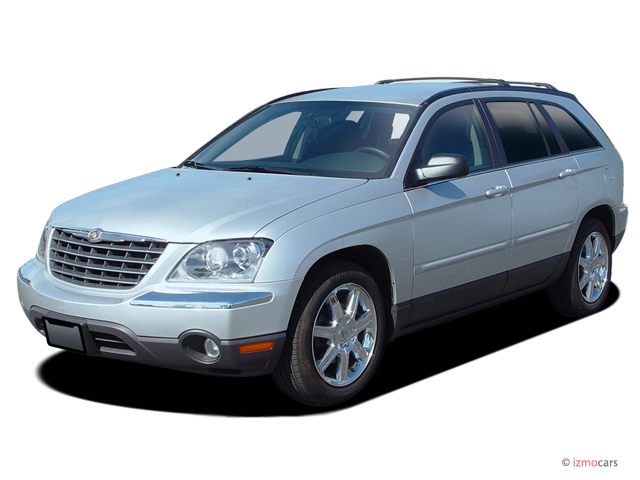 Chrysler's crossover "sport tourer" is intended to be a more stylish alternative to a minivan, offering a lower ride height and car-like ride and handling qualities, albeit with less cargo room and skittish handling. Its flexible six-passenger seating includes back rows that can fold flat or be removed to expand cargo capabilities. 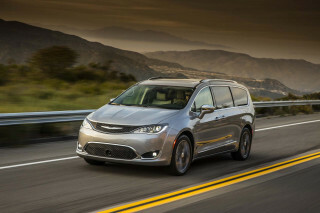 The Pacifica comes powered by a 250-horsepower 3.5-liter V-6 engine that drives either the front or all four wheels via a four-speed AutoStick automatic transmission that can be shifted through the gears manually. The vehicle's myriad of options include side-curtain head airbags, power adjustable pedals, a power liftgate, tire-pressure monitor, rear-seat DVD entertainment array, navigation system, and a Bluetooth wireless interface for similarly enabled cell phones. A high-performance "SRT" version is rumored to be in the works. It continues for 2006 with only minor alterations.